Why Information Security Awareness Program? 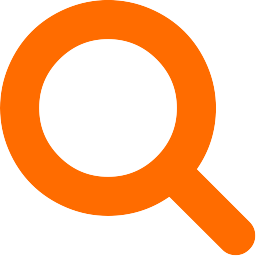 Have at least adequate knowledge of tools and techniques required and available to protect information assets, which they are responsible for. Information Security awareness program assists in building and maintaining a comprehensive awareness among employees – both end users as well as system administrators/ IT team. It also communicates management intent on information security requirements and provides consistent guidance to your IT team and users. It demonstrates your commitment to information security and also provides assurance to your auditors. Turnkey provides assistance in designing, developing and implementing information security awareness program for your organization. We can assist you in identifying awareness and training needs and developing training plans. Updating and improving focus as technology and organizational priorities change. Our program is aimed at all levels of the organization including senior management. The program explains proper rules of behavior for the use of organization’s IT systems and information, information security policies and procedures that need to be followed, and sanctions imposed due to non-compliance. We also assist organizations in running and managing information security awareness programs. 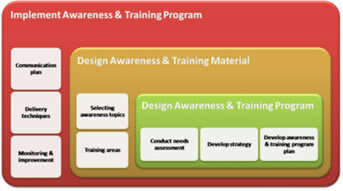 This includes development of awareness materials such as induction program, training slides, posters, email communications, competitions, interactive programs, annual compliance questionnaire, etc.